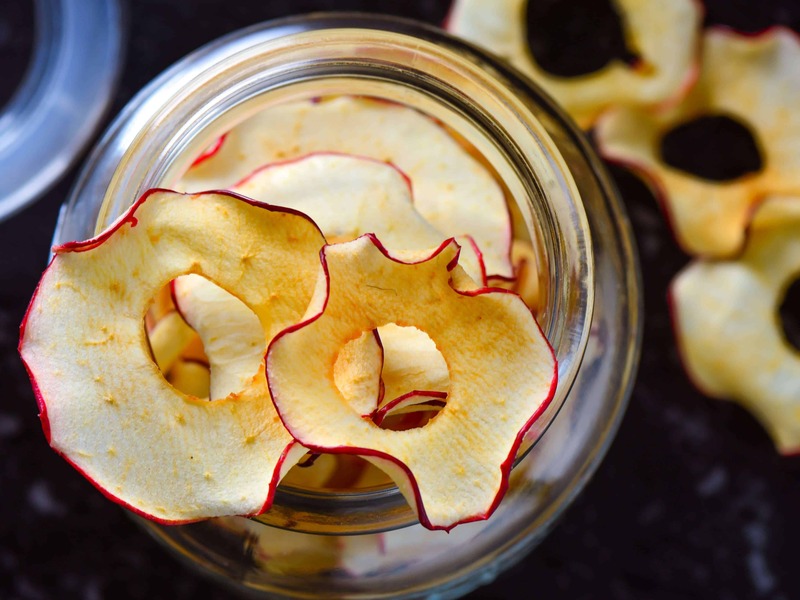 Apples are a versatile fruit.You can bake them,eat them raw,dehydrate them,juice and puree them.They taste great in each form.Apple chips are a great way of having them especially in winters. You can either dry them in hot sun or if you stay in a colder areas use a dehydrator.This machine does all the work for you and gives you fresh chips in a couple of hours.They are tasty and healthy and use minimal ingredients.Great to take them for travel and you are sure you eat something without preservatives and additives. Store them in an air-tight container once ready. Using mandolin slicer,thinly slice apples. Toss them with lemon juice. Spread them evenly in a dehydrator. Dehydrate for 4-7 hours till crisp. Store in a dry air-tight jar. Click here to get more appetizer recipes.